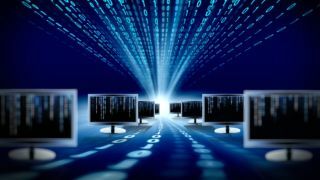 As virtualisation continues its march across the business IT sector, the technology built into Windows 8 could provide a challenge to the mighty VMware as a virtualisation platform. The industry consensus is that Microsoft has applied its vast experience of server virtualisation to the desktop. For IT managers this level of integration using tools with which they are already familiar with is a Godsend, and will enable them to build and manage sophisticated virtual environments on the desktop or within a server environment. Microsoft's new Windows 8 Client Hyper-V provides for the first time the ability to place virtualisation easily on a client PC. What's different from previous incarnations is that Microsoft has taken the best of its server hypervisors and repackaged them for the client platform. IT managers have for some time lamented their inability to leverage the same kinds of virtualisation on clients as they could with servers, but Windows 8 now makes it possible. Microsoft has apparently thought long and hard about how IT managers would want to deploy Client Hyper-V and divided the application into two complementary parts. The first is the Hyper-V or the virtual machine (VM) that runs the virtualisation software. The second part is the Hyper-V Manager where new VMs can be created or deleted. For example, if you need to deploy multiple operating systems to support legacy applications, it is possible with all generations of Windows, plus Linux if this is needed. Anyone still using Windows XP for mission critical applications, and usese Windows XP Mode in their existing virtual machines, will need to run XP under Client Hyper-V as Windows XP Mode is no longer supported. Client Hyper-V, but it's still a good idea to check the hardware on which you intend to install the VMs. Microsoft states that a 64-bit PC is the minimum requirement, just as Windows Server 2012[MS1] requires. What this means in practice is that you should be running Windows Pro 8 or the Enterprise version. At least 4MB of RAM will be needed as a bare minimum, and it's also a good idea to check the chipset of each PC on which you intend to run Client Hyper-V, as this needs to have SLAT (Second Level Address Translation). Most relatively recent PCs should be compatible, but if you have ageing hardware, it's a good idea to check their specification before attempting to install Client Hyper-V.
Once you have installed Client Hyper-V you should have a familiar environment to work within, as Microsoft has used a very similar user interface to their server VMs. Industry experts point to one of the most powerful aspects of the new Client Hyper-V as being the testing environment offered by the new platform, which has generally been welcomed. IT managers can now create sandboxes safe in the knowledge that the testing VM is isolated from their network. Most of the features found in the server version of Hyper-V are here in the client incarnation, apart from some advanced features such as support for the fibre channel. Microsoft says: "Because Client Hyper-V in Windows 8 Pro is the same technology as server Hyper-V, IT pros and developers do not need to learn any new tools or commands. It is possible to move VMs from Client Hyper-V to server Hyper-V."
It cites the example of building a "test lab" infrastructure, hosted entirely on a laptop or desktop machine, and exporting the VMs created and tested from the laptop into production. Reports suggest that Client Hyper-V has been well received by IT professionals who have had a chance to compare it to Microsoft's previous attempts at virtual machine creation and management. Those used to deploying and managing VMs on their installed servers using Windows Server 2012 will like the fact that they can control user access to any VM set up under Client Hyper-V from one control panel. Microsoft has also taken many of the established features of its virtual server installations and included them in Client Hyper-V.
One that all IT managers will appreciate is the ability to move a running VM to any kind of storage that is available. This could be a local drive or even a USB stick. In addition, the new VHDX file format is much more versatile than the previous VHD platform and now offers 64TB capacity. As virtualisation remains a major issue within the IT community, Client Hyper-V has been generally heralded as a huge leap forward in supporting client VMs. It provides IT managers and developers with a VM environment that can be used for a wide range of services. Moving the capabilities of client VMs closer to those those deployed within the Windows Server 2012 feature set delivers a set of tools from which all IT managers can benefit.